Click here to download Jive Agent (IE Plugin). Jive Agent is now installed. Go to Start Menu > All Programs. Browse for and click Jive Agent. Jive Agent runs in the background and can be found in the System Tray. Right-click the Jive Icon ( ) within the System Tray. 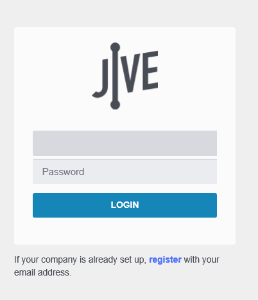 A new browser window will appear directing you to onjive.com.